Listed below are some Norse- and medieval-related events that may also be of interest to conference participants and attendants. 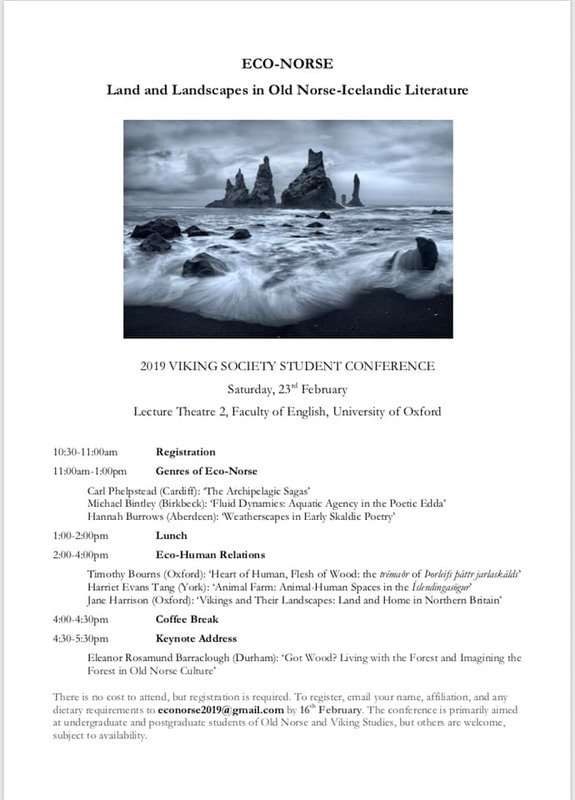 The Cambridge Colloquium in Anglo-Saxon, Norse and Celtic will take place at Cambridge's Faculty of English on the 9th of February 2019. Click to download a copy of the program. This year's conference on Concerning Connections: Ties and Relationships in the Old Norse World will take place at King's Manor at the University of York on the 25th May 2019. 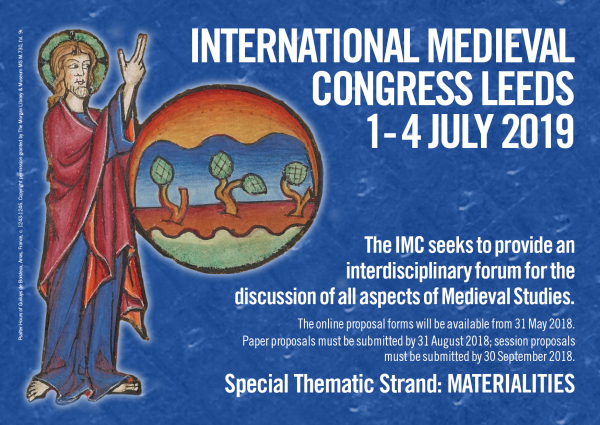 IMC 2019 will be held at the University of Leeds from 1-4 July and will focus on Materialities.